There are hundreds of thousands alienated children. Please help. "I can’t be a father. And that kills me a little every day because right now my daughter desperately needs one." Shirley Stutson MFT; Pietrina Termini, MFT; Susan Bailes, MFT; Dr. Beth McGuire, and Commissioner Deborah Daniel I wonder what is wrong with you? What is so broken about you? Or are you ignorant of what is happening right before you? If you are so easily duped by a scorned woman with a personality disorder you are in the wrong field. I shudder to think of the amount of damage that you have done to other children as well. You are supposed to act like compassionate human beings. Are you that broken that you are okay with doing this much harm to a family, to a child? This is where my daughter is now. 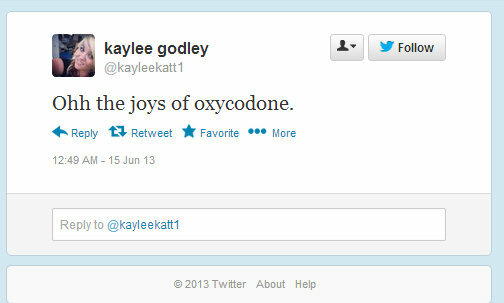 She is 15 years old and headed down the same road as her older sister Kaylee Godley... and without a father to guide, to parent, and hold her and show her she can do better than this, that she is better than this. 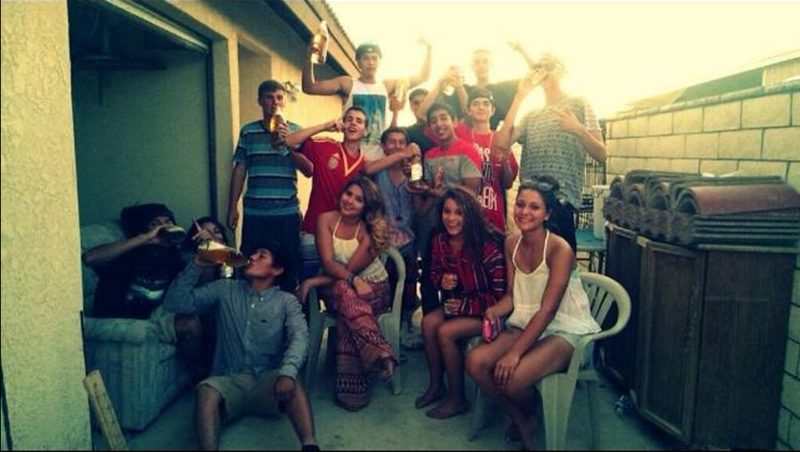 Megan and her friends the first day of Summer 2014. The caption on their Instagram read, "Starting the Summer off right!" She is so out of place and doesn't even realize it. I can’t be a father. And that kills me a little every day because right now our daughter desperately needs one. I am sorry that I can’t be there for her. Especially right now; at a time when she needs guidance. This is her, our daughter, this is Megan. These are her “friends” on the first day of summer. This is what summer looks like for her. The caption on the Instagram read, “Starting the summer off right!” I wonder if Megan believes that. She needs a father to hold her and tell her that, "No beautiful. I am sorry, but you're not." 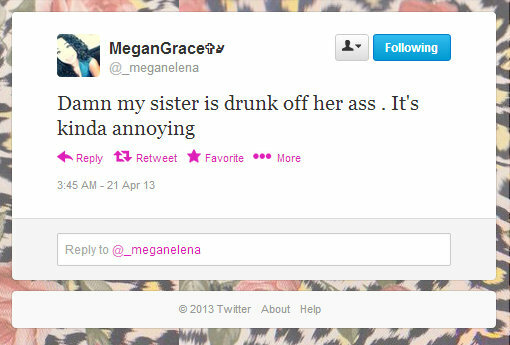 Megan needs a father or even a step-mother back in her life who WOULD address this. She is 15 and she could really use a parent in her life. I have had this picture (and many others) creep into my mind all summer. I quickly try to squash it out of my mind because every thought associated with it is bleak and where they lead to, is tragic. This is our daughter’s idea of starting the summer right? Her mother is okay with it? Our family won’t see her at all this summer. She needs a miracle. This is how her older sister Kaylee started. She is trying to fill a void. She will continue to try to fill this void in all the worst ways possible. I wish I could help her. I miss her. There are many more thoughts but I have to stop. So, I refocus my attention on Tammy, Malia, Jaida, and Sophie and everything else that is great about my life. And everything is good again. Except I feel a tinge of guilt because I am mentally moving on when my daughter has been snared in this web of dysfunction. How can I possibly leave her behind like this? How does a loving parent do that? Because my choices are limited. Extremely limited. The only options I have are to share what is happening with our 15 year old daughter and the direction in which she is heading and maybe someone will be in a position to pull her aside and offer some much needed guidance. My other option is to do nothing and just wait until she gets something horrific happens; she gets assaulted, DUI accident, accidently OD's..or worse. And then I can say I saw it coming, there were all kinds of signs and people will ask why I didn't speak out or reach out for help. So I am reaching out. Megan needs to be extracted from this nightmare. 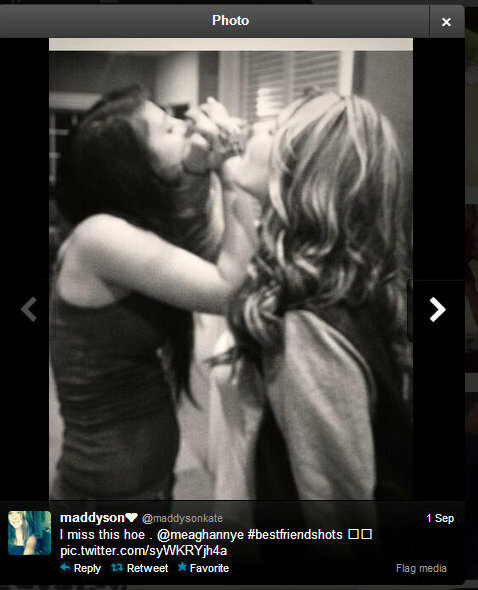 My concerns about the drinking and smoking are second to the emotional abuse she is suffering at the hands of Christy Garrison, Michael Garrison, and Kaylee Godley. Imagine an abuse so horrific that a child's defense mechanisms kick in and she has to align with her true abusers in order to be able to cope. For those of you who are thinking I could tell her mother, Christy. Well, thats why I am so vocal about what is happening to our daughter right now. Because many do not understand that co-parenting with an alienator is impossible. There is no such thing. You simply can't argue with Rainman. Its like trying to reason with Dustin Hoffman's character, Raymond Babbit in Rainman. An autistic savant, Raymond Babbit wants to fly QANTAS to Los Angeles from Cincinnati because its the only airline that's never had a plane crash. Charlie Babbit tries to explain that it may be true but QANTAS doesn't fly to Los Angeles from Cincinnati. But it doesn't matter to Raymond, he's an autistic savant. Raymond wants to fly QANTAS and refuses to fly any other airline. This is an argument that Charlie Babbit will never win. They end up driving to L.A.
You can't argue with Rainman. No disrespect to autistic savants; alienators can't be reasoned with either. I am going to hit Pause for a second to explain something that a targeted parent or someone who is familiar with personality disorders deals with. In normal conversation, where two people are discussing something there is always the topic that is being discussed; in this case its the underage drinking. But when dealing with an alienator who typically suffers from a personality disorder the conversations are laced with accusations directed at the targeted parent. In the very brief exchange above, I am accused of thinking badly of our daughter, it’s implied that I don’t believe she is a good kid, and I am accused of stalking. usually Christy will also insinuate that I don't love Megan. It’s quite normal to want to address these somewhat subtle accusations or attempts to derail the conversation from the issue at hand and make it about something it’s not. In the world of a dysfunctional parent, a parent monitoring their child’s social media is synonymous with stalking. Joe: "Kool Aid? Kool Aid comes in Forty Ounce bottles now." Joe: I don't believe I am criticizing her, I just don't think it's appropriate for her to be drinking at her age. Christy: Why are you always trying to control her! You try to control everyone! Christy: yes you are! You controlled me while we were married! Joe: Where did that..what did I lie about? Christy: Everything! You and Tammy are liars and backstabbers! ...the conversation above is based on typical conversations I have had with Christy. It could go on like this forever and sometimes I think Christy wishes it would. I believe she feeds off this sort of thing. Believe me if I didn't have to, I would not associate with someone this unstable at all. Crazy, I know. Believe me, I know. All I want is my daughter back and a chance to raise her to be better than where she is headed. 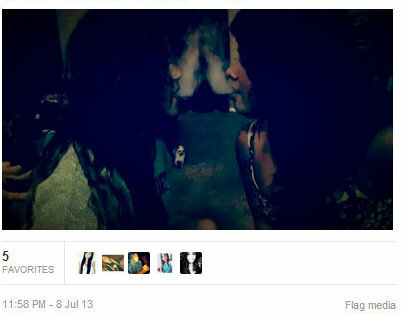 To tell her that she smoking doesn't make her look cool but playing with her little sisters does. To tell her that starting the summer right is going on a family road trip picking up her best friend who just moved away to Tennessee and spending time together, laughing, in Washington DC and New York City. The other thing I can do is hope that someone in her life will have a positive effect on her life. Perhaps a teacher, a coach, a family member, a friend...anyone. Someone who will at least remind her that she could do better than drinking, smoking, and hanging out with the wrong crowd. Our daughter desperately needs help and direction from an emotionally stable, responsible adult. But that prospect looks bleak as well. Alienated children, like members caught up in a cult, are often isolated from those who will ask questions. A teacher who would reach out and question what has happened to her relationship with her loving father and his side of the family would most likely be marked as an enemy. An alienated child will only be allowed to be surrounded by like-minded people who don't question anything but rather nod in agreement at the disturbed parent's distorted portrayal of the situation. Unfortunately, this sometimes includes naive teachers, coaches, friends and even family members. If you are insightful enough to know the damage that alienating a child does and dare question their story or the alienated child's loyalty to the alienating parent then you don't need to be in the child's life. But if you blindly accept their justification for keeping a child from a loving parent, then you are welcomed with open arms. Megan needs people who will encourage her authentic beautiful person whom she is to resurface. She needs a real friend...she needs her other family...she needs her father. And we ALL need a miracle. 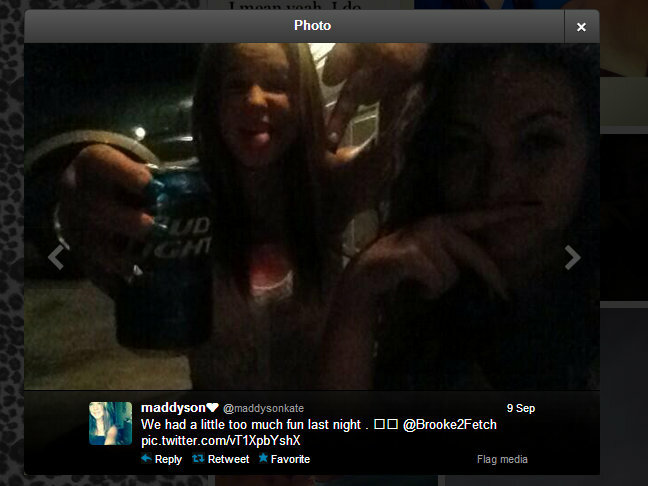 Megan's BF Maddyson holds a Bud Light. This is who Megan was with on Halloween night. This girl has such a dysfunctional family history that I know her life ends tragically. I just hope Megan isn't with her. 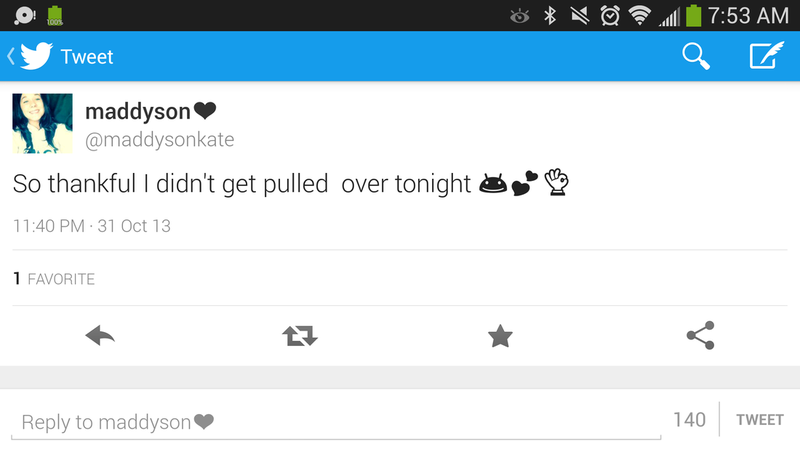 During our custody trial, Megan tweets about her sister, Kaylee's drinking problem. Note the time. Megan smoking with her friend.